Madison Clark, the feisty, high-profile divorce attorney, chose a new life in Virginia (Shattered Heart). Adapting to her new environment was easy with the friends that embraced her for better or worse. Just when she started to settle down and her life began to normalize, the past she thought she had left in New York was now knocking at her door. Transitioning his life after his divorce, Lloyd Jones made the ultimate pledge: no more serious relationships. 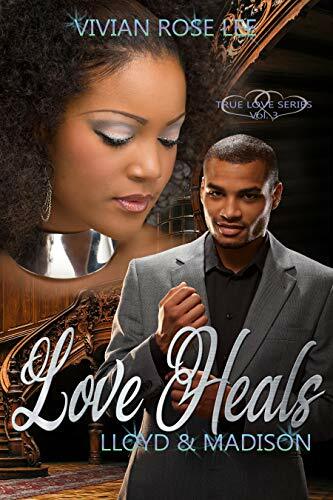 A “love ‘em and leave ’em” kind of man was his goal – that was until the feisty Madison Clark walked into his life and wiggled her way into his heart, unexpectedly killing any vows he had made to himself. There’s a POV shift in the story that affected some people’s enjoyment. One reader said that the history and backstory were told in the first person and the “interesting parts” were told in the second person. One of the better BDB books. You can read it alone but you miss out on a lot of backstory. Very supportive hero which bothered a couple readers because they felt the dynamic was uneven. Most reviews are very positive. Haunted by her past, Jocelyn refuses to trust the desire David ignites in her. She never counted on a real husband, least of all one who would entice her to be a real wife. But some bargains are made to be broken–and his skilled courtship is impossible to resist. . . The lower ranked reviews knocked the heroine for marrying the hero to gain access to her money. I’m glad I saw that before buying The Raven Tower. My experience with 2nd person POV has generally been disappointing. Otoh, I liked the Imperial Radch trilogy. Gah! Damn KDDs. @Lostshadows: If I’m not mistaken, last year’s Pulitzer Prize winner for fiction, Less by Andrew Sean Greer, is in 2nd person, and it’s phenomenal. Maybe try a sample to see if it still puts you off. Crap, I wish I could have predicted the deal on “Raven tower” :). I struggle mightily with the second person in the book – it never worked for me before. 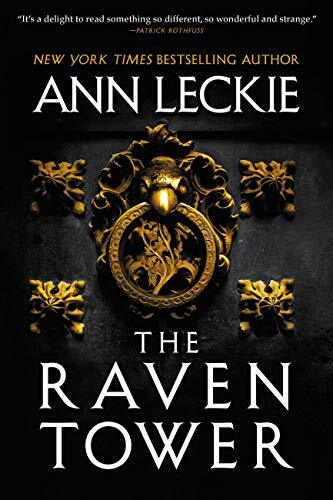 Probably Ann Leckie is just not for me after all, I sure gave her books very good try. I meant to say that I bought it full price oy and now struggle with it. @Sirius: Did you run into problems with the Imperial Radch books also? My issue with 2nd person boils down to, of the four authors I’ve run into using it, three of them I couldn’t avoid reading it as “you, the male reader” and it chucked me right out of the story. Based on what I’ve read by Leckie, I suspect this won’t be an issue. @Eliza: I totally agree that Less is a wonderful novel, but it’s not written in 2nd POV (I just checked my copy). It’s written in present tense for the most part, though. I’ve read a few 2nd POV books I enjoyed, but I agree with Lostshadows that it can also backfire, depending on the author and the way its used. Mohsin Hamid used it well in a couple of his books. @Janine: No not really. I mean I had some issues with the story but not with the writing but I don’t remember second person POV in those books. @Sirius: There wasn’t any second person POV in the Imperial Radch trilogy. I was just asking if you liked or disliked the books because you said the author wasn’t for you despite more than one try. @Sunita: Maybe I need a primer on second person POV. From a quick online search: “when writing fiction in second person, the author is making the audience a character, implicating them.” I do agree that there is a first-person narrator in the story – and how delicious it is to find out who that is – but I as the reader am being addressed. “Look at him: seated primly on the hotel lobby’s plush round sofa…” and “Listen, you might hear anxiety ticking, ticking, ticking away…” and “Picture young Less: twelve years old…” Isn’t there an assumed “you” there? And that “you” is me, the reader? Asking honestly! Sorry, I should have specified that my above comment regards the novel Less. @Eliza: I am not an expert on literary forms, so I could be wrong about this. But my understanding is that the narrator in Less is closer to a 3rd person omniscient than anything else. He seems to have perceptions that are beyond Arthur’s (although when we find out who the narrator is then it’s not clear that it was 3rd omniscient after all). From that angle, Less is quite interesting technically. You have friends who actually care about you and speak the language of the inner self. You have avoided them of late. Your soul is as disheveled as your apartment, and until you can clean it up a little you don’t want to invite anyone inside. You are about to begin reading Italo Calvino’s new novel, If on a winter’s night a traveler. Relax. Concentrate. Dispel every other thought. Let the world around you fade. The above examples are from this site. @Sunita: Okay, this is interesting. Thanks Sunita. @Eliza: Just to follow up on what Sunita said, the bits you quoted from Less read like omniscient narration to me, although it’s hard to be sure out of context. Perhaps the confusion stems from the fact that this type of omniscient narration, where the omniscience of the narrator is so pronounced, isn’t seen as much in 20th and 21st century popular novels (it crops up most often in literary fiction) as in the popular novels of earlier eras, and second person is even more rare. Omniscient narrator is a more forgiving POV than second, in my experience. Second person is really easy to botch up. Had she blown a hole through his head? His chest? Was he dead or just wounded? She knew she ought to check… She’d had every reason to shoot him but you couldn’t very well let a man bleed to death, could you? she thought dazedly. Even if he’d been trying to kill you? Or maybe you could. Maybe you could drop the gun, turn and run, as fast as possible, before he suddenly stood up and came after you, before one of his buddies came running to see where the noise had come from. Maybe you could take the gun with you, just in case. Sorry for going on at such length. I just love this type of nerdy discussion. Thank you, @Janine and @Sunita–this is fascinating and very helpful. I see second-person so infrequently that I honestly wasn’t quite sure what to make of it! @Janine: That’s a great example. I always get confused by 2nd POV because for me it needs to be used consistently and at length, but as our examples make clear, just shifting into “you” means you’re in it. Thanks for asking the question, Eliza. It was fun to go down the rabbit hole. Or Google hole, as the case was. I’m a reader who doesn’t always notice the tense of POV when I’m immersed in a book, so I enjoy thinking about these things after the fact. @Sunita: I love thinking about this stuff too. POV is one of the most fascinating aspects of fiction writing.